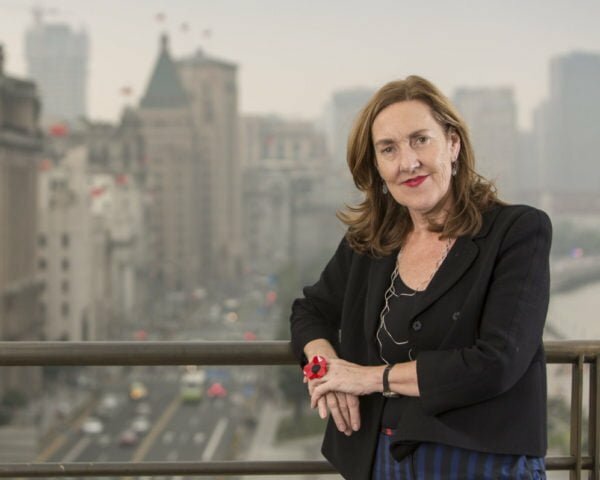 Michelle Garnaut AO, the CEO of the M Restaurant Group, has established restaurants and lounges that have pioneered independent fine dining in both China and Hong Kong. M on the Bund, the restaurant she opened in 1999, has won numerous awards and was named one of the 50 Best Restaurants in the World by Conde Nast Traveler. Michelle herself has garnered Australian and international recognition. This year, she was awarded an AO for distinguished service to Australia-China relations as a restauranteur and entrepreneur, and for her support of literary and cultural programs. In 2009 Michelle opened Capital M in Beijing with its breathtaking terrace overlooking Tiananmen Square. And in 2016 she added Glam, a dining lounge and bar in Shanghai. Her clientele includes royalty, government and business leaders, diplomats, celebrities and the media. 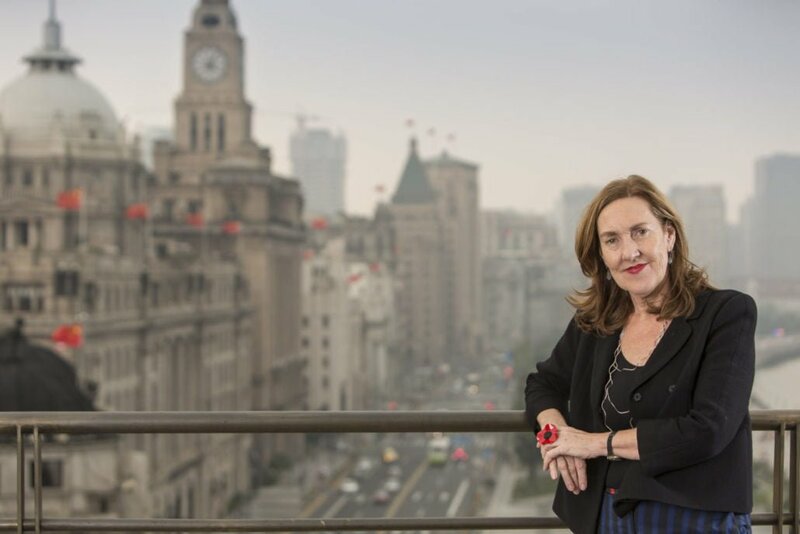 As an entrepreneur, Michelle has had the daring, skill and tenacity to successfully establish and sustain several enterprises in China – a feat that has defeated many foreign companies seeking to do business in China. 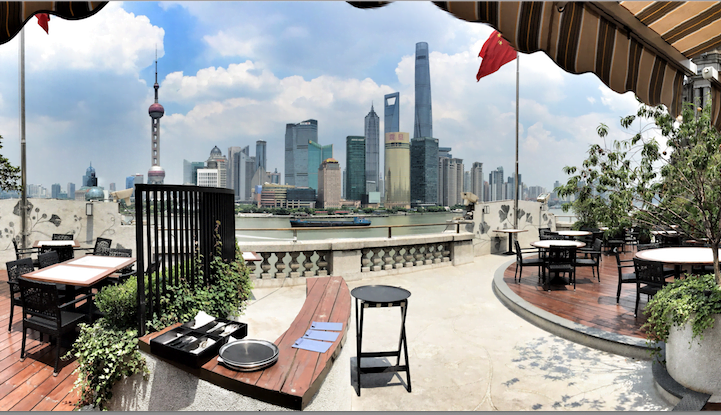 When Michelle began looking for a place in Shanghai to open her first restaurant in China, the Bund in the 1990s was not the glamorous, glitzy and spectacular strip it is today. “The Bund was shabby then. Everyone told me to open in the French Concession, the more fashionable area of Shanghai where all the 5-star restaurants and bars were,” remembers Michelle. 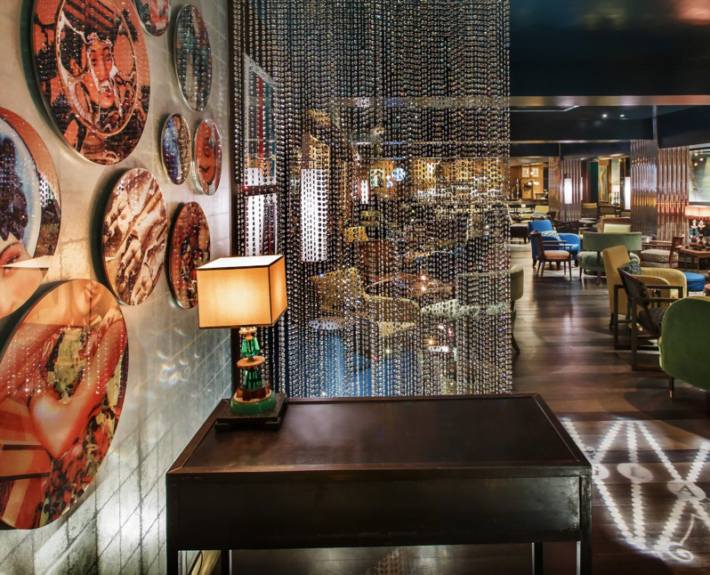 M on the Bund was Shanghai’s first independent, international standard restaurant, and it was an immediate hit. Michelle created her own niche with her distinctive combination of ambience, decor, and contemporary cuisine, including some Australian favourites such as M’s Very Famous Pavlova. Michelle Garnaut became a chef and restauranteur almost by accident. She had grown up in Melbourne, gone to Elwood High School, dropped out of Uni and headed off to Greece, because it was the cheapest ticket she could afford. She went by herself “ because I had no-one to go with.” After a year there she returned to Melbourne. But after completing the course it was very hard to break into the profession in Australia. Women were not allowed to work in kitchens in many hotels and restaurants at that time. “Women had to fight much more back then. Today women feel they have the right and that is progress,” says Michelle. In 1984 she flew to Hong Kong. When she arrived she had no connections, she did not speak Chinese, and she was a woman in a field overwhelmingly dominated by men. Yet by 1989, after working as a dishwasher, waitress, chef and caterer, she borrowed money and opened her first restaurant – M on the Fringe. Here too she took a risk and went against conventional wisdom. “When we opened in 1989 we had a new concept- a new style of restaurant. We opened in a nightclub area instead of the usual fuddy-duddy hotel area, and it was very successful “ says Michelle. “When I opened the restaurant in Hong Kong I decided I didn’t want to be the chef. I could either be managing the business and dealing with customers or running the kitchen. I couldn’t do both. I did cook in the beginning because we were short-staffed. But I needed to be in charge,” she said. Michelle developed her signature style of good food, chic and comfort in M on the Fringe and it remained one of Hong Kong’s best loved restaurants for 20 years, closing in 2009. Capital M in Beijing which had become a favourite destination, had to close this year, unable to cope with the restrictions placed on its location overlooking Tiananmen Square. It will be moving to another location in the capital. Alongside running the M Restaurant Group, Michelle has vigorously supported the arts, the community and the empowerment of women. Michelle opened up the M venues to function as cultural and artistic hubs. She initiated the Shanghai International Literary Arts Festival, now in its 16th year. Over 1,000 of the world’s leading writers and thinkers have held talks and salons in her venues in Shanghai and Beijing. M on the Bund will host the 2018 Shanghai International Literary Arts Festival in March. The Festival will include Stella Prize winners and other leading Australian authors including Alexis Wright, Charlotte Wood, Fiona Wright and Richard Flanagan. Michelle also sponsors the M Literary Residency Program that has provided residency in China and India for writers. 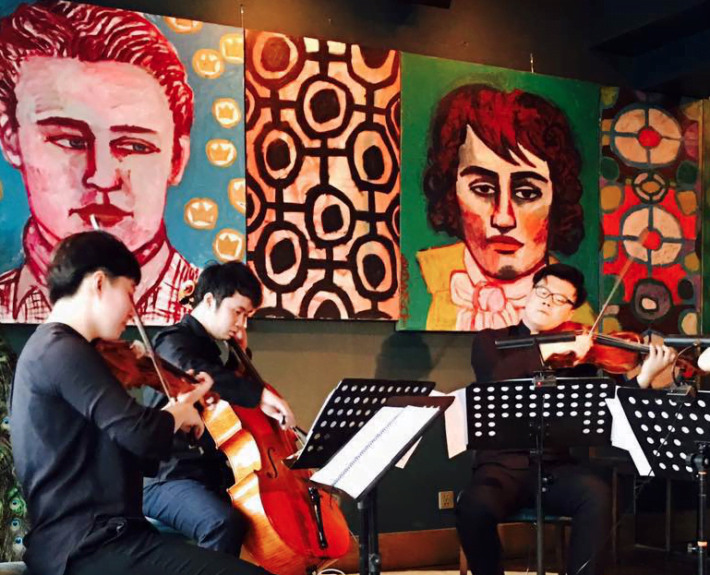 The M venues also host the Shanghai Chamber Music Festival and Competition that gives music students an invaluable opportunity to perform before discerning audiences, and provides a platform for chamber music in the city. Far from Shanghai, along the old Silk Road in the arid, remote villages of Shaanxi and Gansu provinces, is where Michelle has set up projects with the local communities. “Living and working in China I wanted to do something that was not just restaurants. There is enormous rural poverty and I wanted to work with women and children there. The lack of access to bathing facilities in poor rural areas leads to great physical and mental problems,“ says Michelle. Michelle was a founder of the Village People Project, dedicated to building solar-powered bathhouses that are then run as businesses by local families. Four bathhouses have been opened. 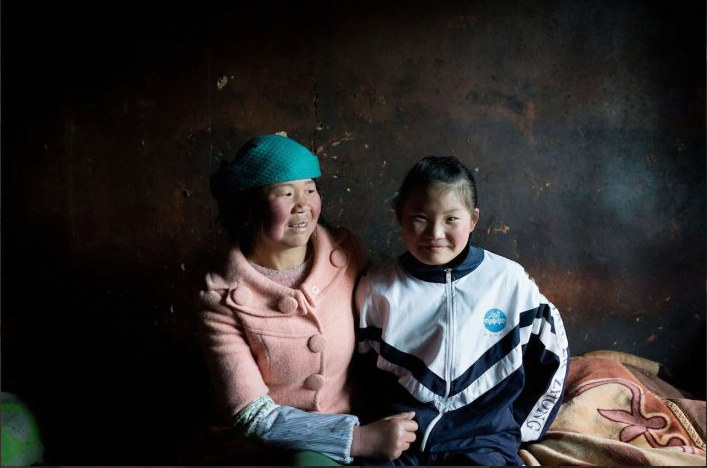 Now the Village People Project is working to install bathrooms with solar-powered water heaters in the homes of more than 2,000 families in Qinghai Province. “We want to provide solar panels to everyone in the village and help individuals to build their own household bathroom. It is a communal project with 3 out of the 5 committee members being women. It empowers the local women,” says Michelle. Her commitment to empower women has also been behind her support of two other projects. Michelle spearheaded Mentor Walks in Shanghai and Beijing and they have now spread to Australia in Melbourne, Sydney, Brisbane and even Wagga Wagga. Once a month, women Mentors from a range of professions, take a walk with women starting out in business and the professions. Each Mentor, with 3-4 mentees in tow walks, chats and answers any questions they may have. Michelle was inspired to set up these walks because she heard from women that they remembered snippets of advice she had given them over the years. Mentor Walks raises money for important project for girls and young women in China called Educating Girls of Rural China . Traditional attitudes valuing boys over girls still prevail in these areas and consequently, many families only educate the boys. EGRC supports girls from impoverished rural regions in Western China to attend high school and get university education by providing financial sponsorship, personal support and mentorship. To date, 842 girls from the poorest regions of China have been supported to attend high school and university with a 99% graduation rate. “To be happy you must have 2 of 3 things — passion, prestige or payment,” advises Michelle. “If you want to start a business, work is your life. You have to love your work and live your life in it. All of that has made my life interesting,” says Michelle. 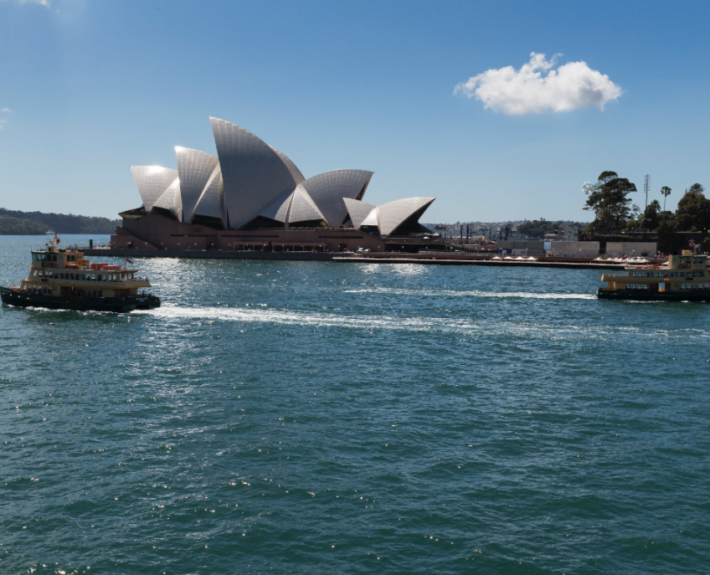 Sydney is so beautiful! It’s the water and the hills. And the flora. I was 19 when I first went. It’s wilder than Melbourne. Rocks with houses built on top, glimpses of beauty wherever you look. Always glimpses of the beautiful harbour. I live in Hong Kong and that’s what I love – those flashes of beauty. I’ve lived in cities all my life. When I was growing up in Melbourne I had friends with a holiday house at Balnarring beach. It was half-wild but also half-tame there. I find the parts of Australia that are half-wild, half-tame enormously appealing. There are parts where you’re coming through a dark forest and then it opens on to a view of the beach. 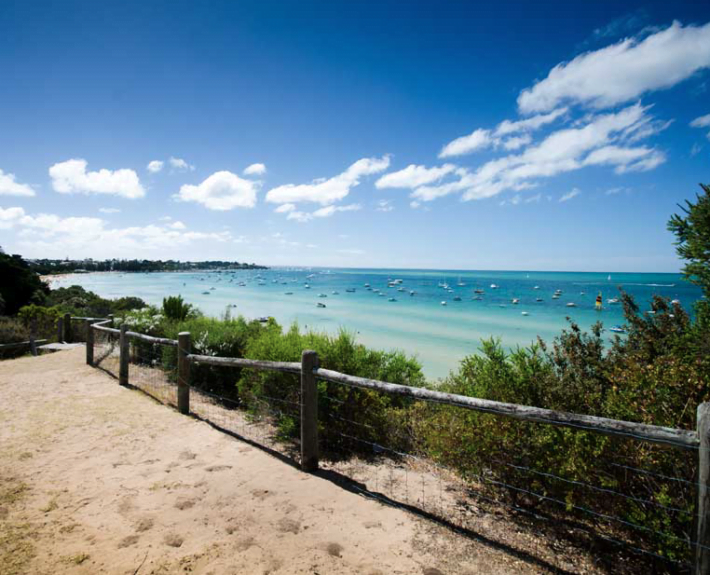 The Mornington Peninsula is so dramatically beautiful. And now there are the vineyards and the food there. I stayed with a friend who has a house in Hyams Beach. 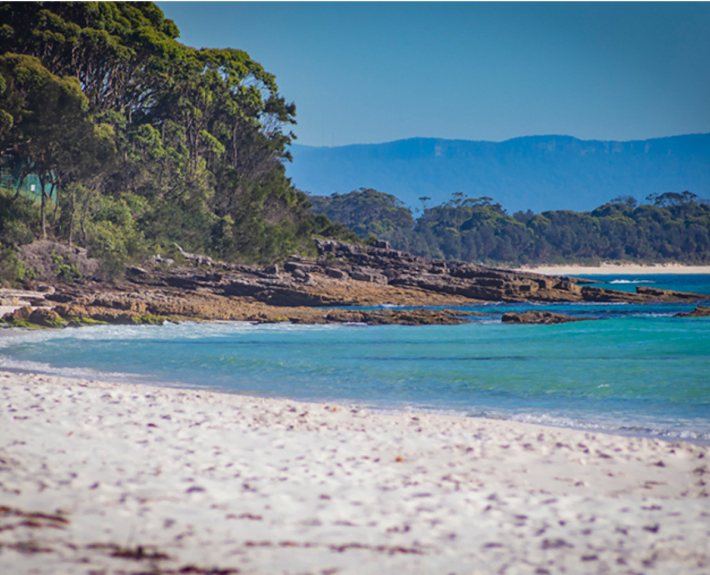 There are spectacular cliffs on the other side of Jervis bay with walking trails. I love walking, but not climbing mountains. We walked along the cliffs and came down to the beach, did yoga and then found coffee. I haven’t lived in Oz for 40 years, so when I am back it’s a mad, frantic visit to the cities to catch up with people, with some visits to beautiful places like Hyams. 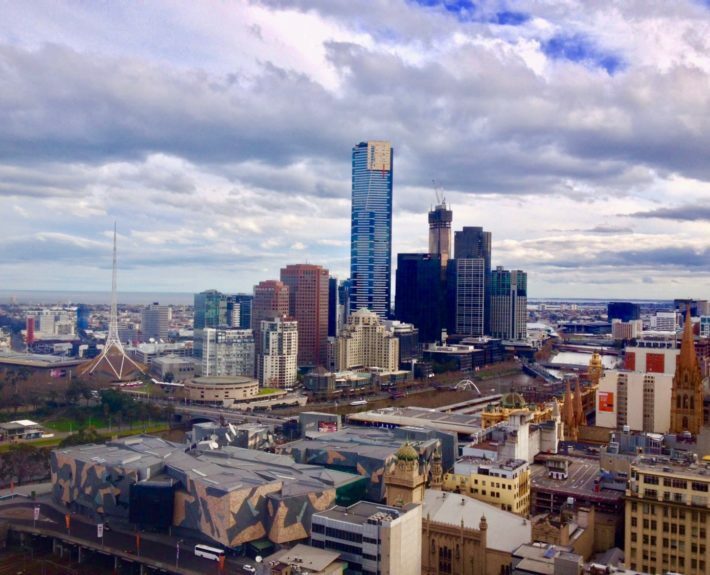 Melbourne to me is a place of family, of memories. It is a complex place. It also has a darker side, compared to Sydney which is a lighter city. I left Melbourne in 1978 because I felt closed in. I went back for a year ( to do the hospitality course) and then left again. But Melbourne has changed since I went to Elwood High School. It has changed as dramatically as China has. It is staggeringly beautiful and has amazing culture. It has all the variety of a big city. Its true multi-culturalism is fantastic. I like the cultural side, the theatre and the food. But Melbourne is snobby about food. 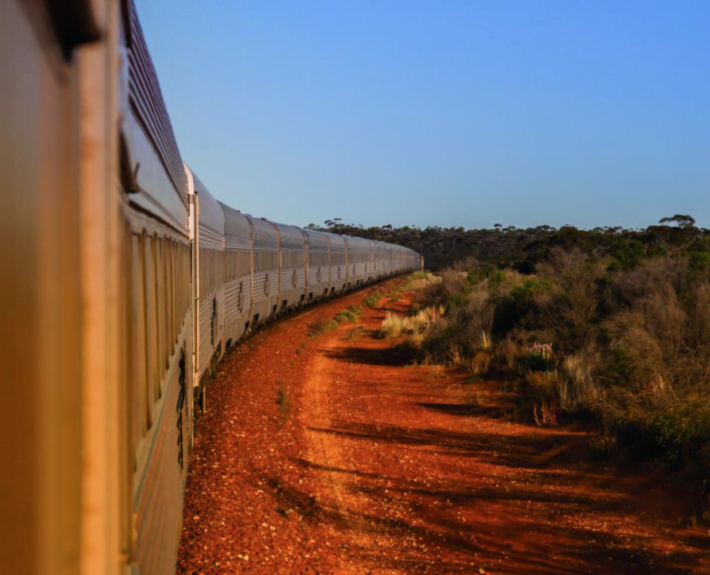 In 2000, I took the train tip across the Nullarbor Plain by myself and it was incredible! It took 2 nights and 3 days. I ended up in Perth. There is a common myth of that the Nullarbor plain is flat and boring. Yes, it’s flat, but fantastic and fascinating. There is this vastness. You don’t get bored – yes, it’s the same scrub land, but you don’t get bored. Before the train trip, I drove from Adelaide to Ceduna in South Australia which is the last town on the border before the Nullarbor Plain. I had a good friend there who was doing an enormous cooking performance as part of the Adelaide Festival. I helped out. We were doing oysters on the beach and feeding 1500 people. You can fly into Ceduna to get to Streaky Bay where you can eat Streaky Bay oysters – absolutely fantastic! Rosie Batty – My Top 5 Places in Australia WOMEN OVER 50 – what shall we call ourselves?